The story of Kingston’s rich history is told best by an experienced storyteller and tour guide aboard a Kingston Trolley Tour. In the fall season the Trolley operates regular city tours departing from the Visitor Experience Centre; this winter the Trolley will extend its season to add city tours in December and January. 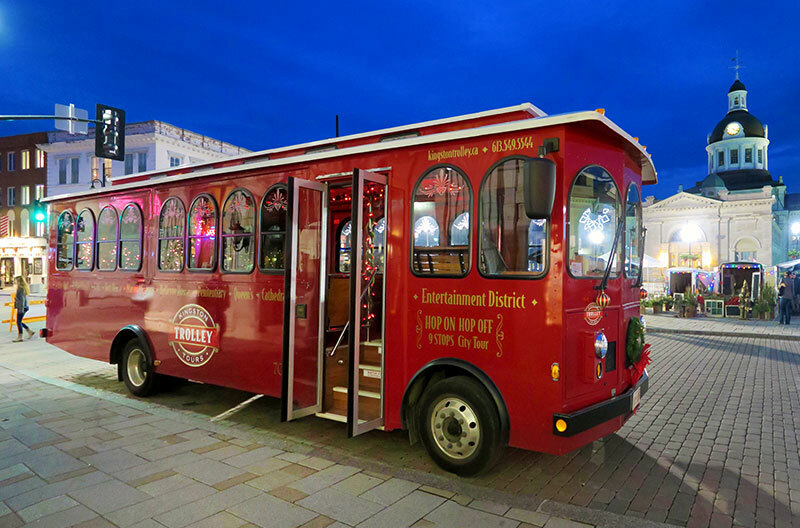 Kingston Trolley Tours operate on a limited schedule and advanced reservations are required. Once you’ve purchased your K-Pass, please call 1-844-449-4513 to reserve.